We have many varieties of KTC Tools for different purposes. 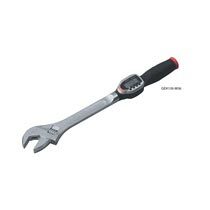 Our unmatchable product is KTC Digital Torque Wrench (GEK135-W36). It has peaked and track working mode. It gets powered off automatically in 5 minutes. As a Supplier, Exporter and Importer we match our quality with the parameters and standards of quality set by the industry. We get it delivered at the doorsteps of our customers for reasonable price.